Although I am in San Francisco supervising the West Coast office of Ben Bass and Beyond, I kept tabs on this year's particularly lively American Crossword Puzzle Tournament. Congratulations to my LearnedLeague divisionmates Dan Feyer, who captured his third straight title in dramatic come-from-behind fashion; five-time champion Tyler Hinman, who finished in a strong second after his umpteenth error-free whirlwind ride; 2010 rookie of the year Joon Pahk, who came in eighth; and Avram Gottschlich, who slugged his way to a Clemente-worthy 21st. Kudos also to my fellow LL rookie from last season, Stella Zawistowski, and my league sponsor, Ellen Ripstein, two speedsters who rounded out the top 10. And though she's not in the LearnedLeague, special props to my fellow Illinoisan Anne Erdmann, who exuded class by penalizing herself for a mistake that no one else even thought she made, then still managed to outrace a deeply talented field to earn another trip to the A finals. 1. What heavy metal legend replaced Ozzy Osbourne as lead singer of Black Sabbath after Ozzy's departure from the band in April of 1979? Less of a gimme than Sammy Hagar replacing David Lee Roth, perhaps, but gimme-adjacent. On the outskirts of Gimmetown. Ronnie James Dio. 2. Die schöne Müllerin and Winterreise, two song cycles based on the poems of German lyricist Wilhelm Müller, are the works of what Austrian composer of the Romantic era? Sigh. This was one of those LL questions that I reasoned all the way to the two yard line, only to fumble and lose the ball. As you may have gathered during Choralgate the other day, I don't know my eras of classical music, so "Romantic era" did little for me. "Austrian composer" suggested Mozart, but I know enough about Wolfgang's work that I felt I would at least recognize these titles as his, plus song cycles didn't sound to me like his thing. Who else might be Austrian? Richard Wagner? I was pretty sure he was German. Same with Felix Mendelssohn. I was quickly exhausting what little I knew about classical music. That left me grasping at straws, thinking of names that might be Austrian, and it came down to a coin flip between Robert Schumann and Franz Schubert. This is where I choked. I can't quite explain it, but Schubert just feels more like a correct LearnedLeague answer than Schumann. Just like the Sundance film festival felt more right to me than Toronto the other day. I wonder whether other players have developed a similar aesthetic in this regard, or whether I'm crazy (or both); I'll be curious to read your comments on this issue. The bottom line is that I guessed Schumann instead of Schubert, and when I saw Schubert was correct, I felt like I'd made a terrible choice. It wasn't 50-50. In hindsight I feel like it was 70-30 or 80-20 and I went with the weaker option. I gave this one the 3 because my opponent was iffy in classical music. 3. The Greek Acropolitan temple known as the Parthenon was completed in 438 BC as a dedication to what mythological deity? A gimme: Athena. I was way into Greek mythology as a kid, even before I read Edith Hamilton's Mythology as a freshman at the aforementioned high school. The derivation of Parthenon is unclear to me, although it's faintly reminiscent of the name Pallas Athena. It also reminds me of two of the Three Musketeers, Porthos and Athos. 4. This island, the world's fourth-largest, is the largest to be (with some tiny peripheral islands) its own independent nation. More geography? Do we have to do this every day? Sigh. I literally traveled around the perimeters of the world's continents over and over in my mind, both amassing and eliminating potential answers. There was nothing off the coast of North America or South America that made sense. Greenland is enormous, too enormous in fact to be correct, as it's the world's largest island, plus it's not an independent nation. Over to Europe. The UK? Maybe, but I didn't see it as likely to be the fourth-largest island in the world, nor did I like "with some tiny peripheral islands." Ireland is more than that. How about Cyprus? I felt like it was an island nation but again, way too small to be the fourth-largest. Down to Africa. Madagascar, which I just mentioned on this blog the other day, felt like a very good bet. It was big, it was its own country, and if it didn't look too large next to Africa, that was likely because mainland Africa is so huge. Over to Asia. There are numerous island nations, but I couldn't think of a single one that was a large primary island and tiny fringe islands. They were more archipelagos like Japan, Indonesia and the Philippines. Australia, way bigger than fourth-largest island in the world, and I didn't think it would be cool of LL to have the correct answer be a nation that is also a continent. (Tasmania could be the tiny fringe island though.) I rounded out my world tour by briefly thinking about New Zealand. Sizewise it was a candidate, but with roughly equivalent north and south islands, it didn't fit the given information. Although I had a slight sinking feeling that I was failing to consider something obvious, I couldn't think of a guess anywhere near as good as Madagascar, plus I like univocalics, so that's what I went with. Happily, Madagascar was correct. 5. A New England prep school, where students confront adolescent jealousy, rivalry, self-identity, death, and the looming presence of WWII, is the setting for what American novel, the author's debut, first published in the U.S. in 1960? Gimme: A Separate Peace. I read it in school. You probably did too. I gave this one the 0. 6. This is a screenshot from what film? Another gimme, to me at least. Gentlemen Prefer Blondes. Squint and it will look like a music video by a vastly less talented pop diva who has yet to find an icon she can't rip off, or for that matter an African family whose baby she can't steal. So, by doing most but not all of the work to get to Franz Schubert, I failed to drink the beer today, but still had another solid outing in a season that is going better than I had any right to expect. This round was strangely difficult for me. Everything gettable, nothing 100% straightforward. To start with the three I got right: I was pretty sure Dio was right, but not positive. Madagascar I got after a whole lot of thought about Australia and Indonesia, and Schubert, well, the Austrian thing again. In trivia terms, Schubert = Lieder = songs. The Romantic timeline felt right. On the ones I blew, I never read Separate Peace and know nothing about it. I went for How to Marry a Millionaire, knowing that GPB might be the right answer, and put Apollo instead of Athena. Joon points out that Cuba would have been a good guess. He's right. I was so busy picturing the perimeters of continents that I never thought of it. He says it's the 17th-largest island, but the second-largest that's an independent nation. Call it the Best Wrong Answer in a non-comedic sense. I did think of Cuba! Another friend points out that Australia is clearly an independent nation. But it's the world's largest island (including continents; my earlier remark about Greenland ignored continents), not the fourth-largest. I actually did consider the crazy theory that Australia could somehow be construed as the fourth-largest island if three other continents/land masses were seen as the three largest, but that was a bit ridiculous and clearly not what they were going for. I think the question as written is somewhat imperfect but it's fairly clear that we were meant to consider only noncontinent (incontinent?) nations. I don't understand the Clemente reference, but thank you! I was disappointed to see you weren't at the ACPT this year. 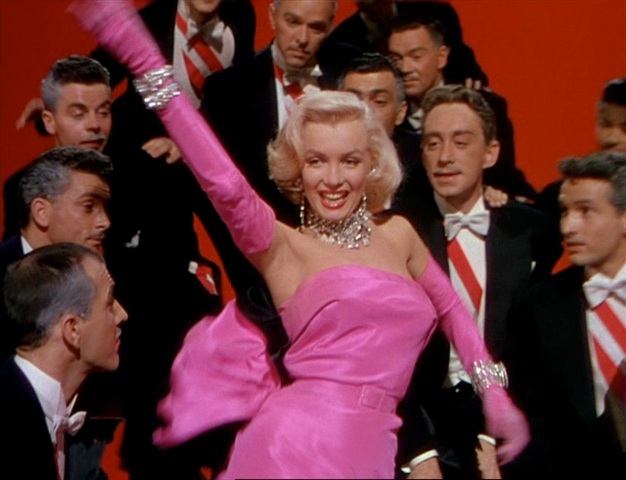 I got 3-5, failing at determining which Monroe movie it was (I've only seen The Seven Year Itch). No real hope of getting either of the first two, sadly. The ones I knew (3,4,6) I knew cold, and the rest I had very little hope of guessing. Chalk up my second loss of the season. But I did improve my defense percentage, and (I'm way too gleeful about this) I got listed as Best Wrong Answer on Q5. Avram, Roberto Clemente of Puerto Rico was the first iconic Latin baseball star, widely beloved in Central America even before being martyred in a plane crash while delivering humanitarian relief to earthquake victims in Nicaragua. Clemente wore #21 for the Pittsburgh Pirates; many Latin players (e.g. Sammy Sosa from the Dominican Republic) would later wear that number in tribute. 1. Was a gimme for me. 2. Not very good at classical music questions. I guessed Strauss who is at least Austrian. 3. Was going back and forth between Zeus and Apollo. I went with Apollo never even considering that the Parthenon is located in Athens which gets its name from Athena. Duh! 4. I was pretty sure Madagascar was the best guess I was coming up with and was fairly confident that it was right. 5. I've heard the title A Separate Peace, but have never read it and never knew what it was about. I guessed The Chocolate War even though I knew it was wrong. 6. This one was disappointing because I'm very good at movie questions but for some reason I had it in my head that this was from How to Marry a Millionaire. Luckily, because my movie stats are so good, my opponent put a 0 on it, so I was able to get a tie despite only getting two questions right. Day 23: Who wrote these? Day 15: Who shut off the taps?